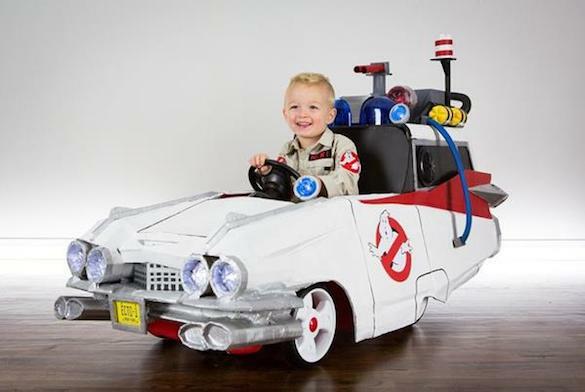 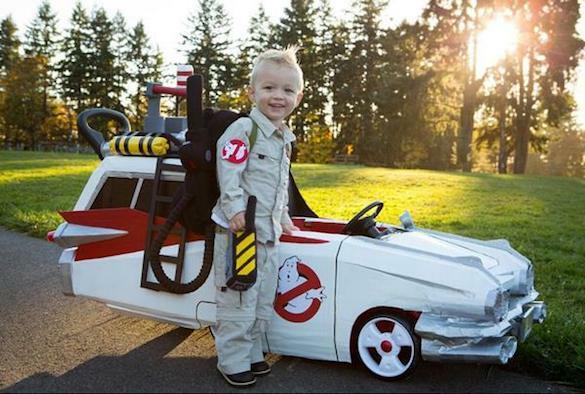 Two-year-old Cooper will be the coolest kid on his block this Halloween. 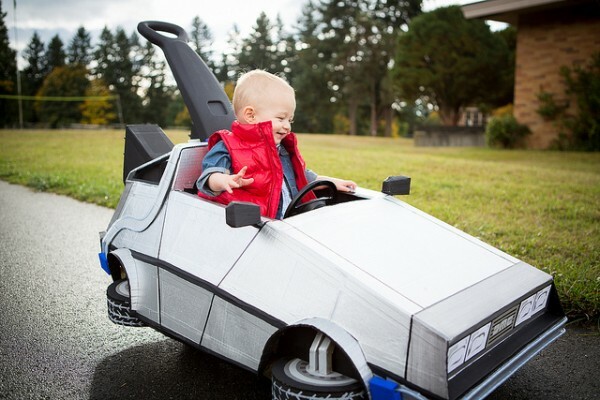 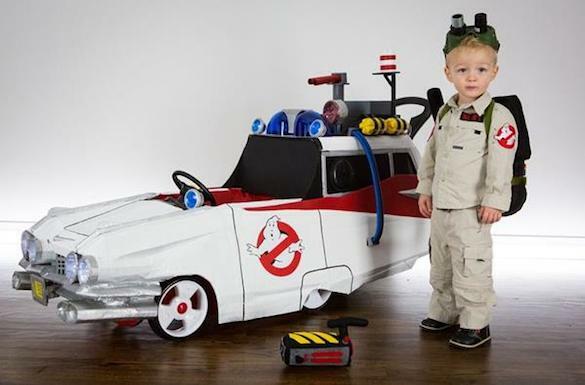 His mom, the same mum that made this sweet Back to the Future-inspired costume last year (see image below), has outfitted Coop in an adorable Ghostbusters outfit — complete with his very own Ectomobile. 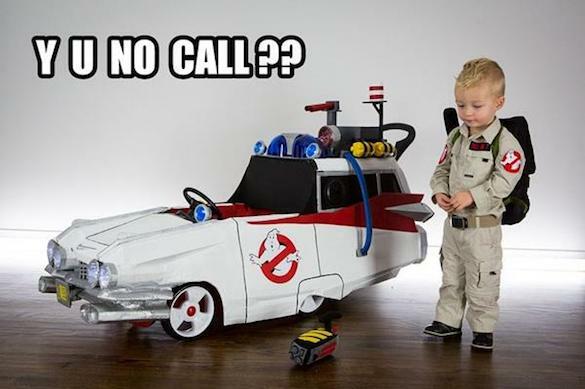 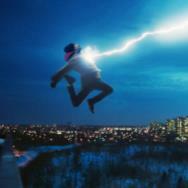 This is what happens when geeks have babies.